Do you recognize all the types of these potatoes? We all love fries and know that it come from potato. Same as any other commercial crop there are only few of them that we know. 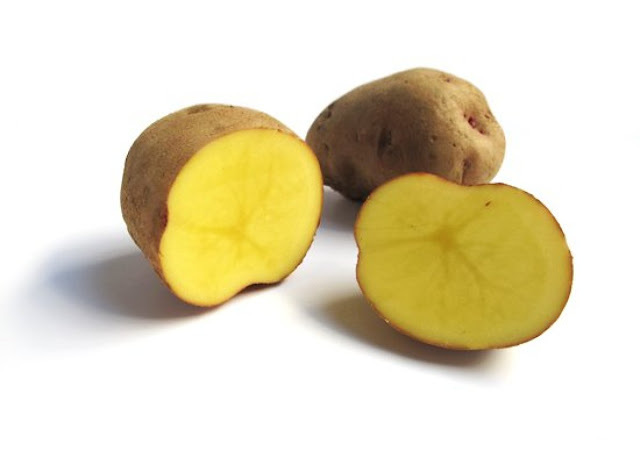 How potatoes will look like in the wild and there are many other things that we should know about this wonderful plant? 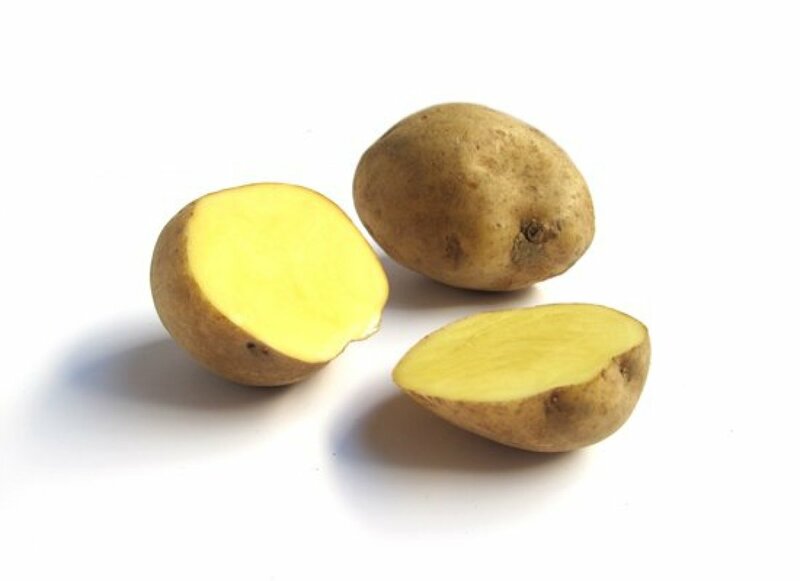 Potato (Solanum tuberosum) is one of the tuberous plants that become important food source for human all around the world. 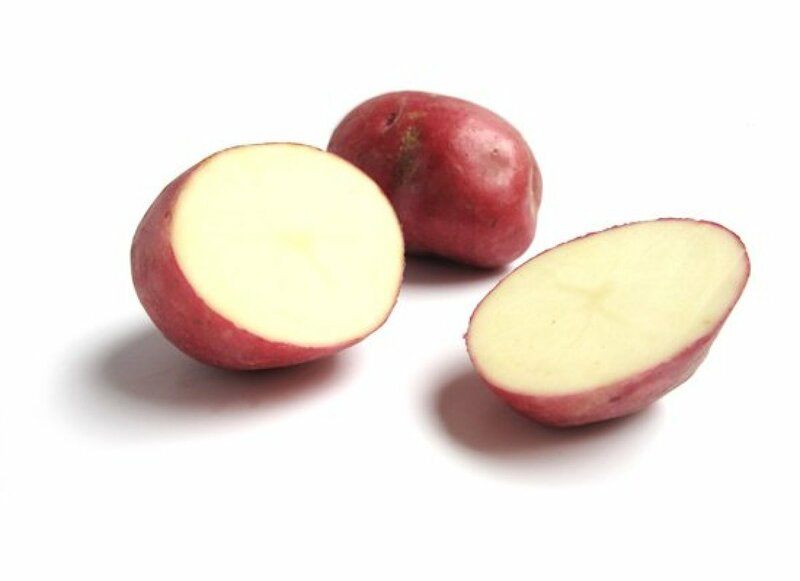 Even though nowadays we can buy potato from anywhere in the world, it’s actually originated from South America Andes; introduced to Europe in the second half of 16th century by Spanish. 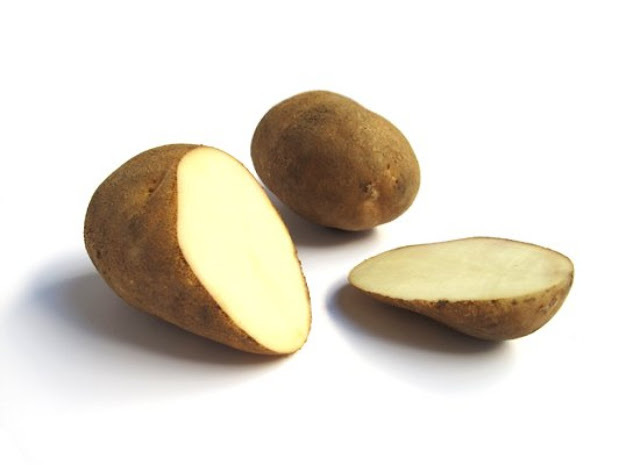 Today it become the forth-largest food crop in the world, following maize, wheat, and rice. 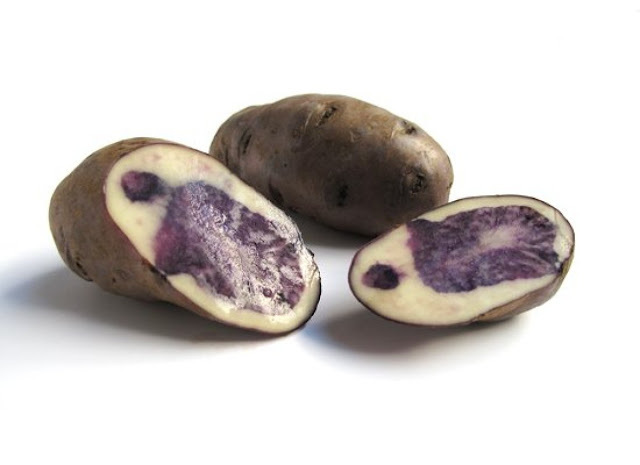 They area not just varies, but also colorful. 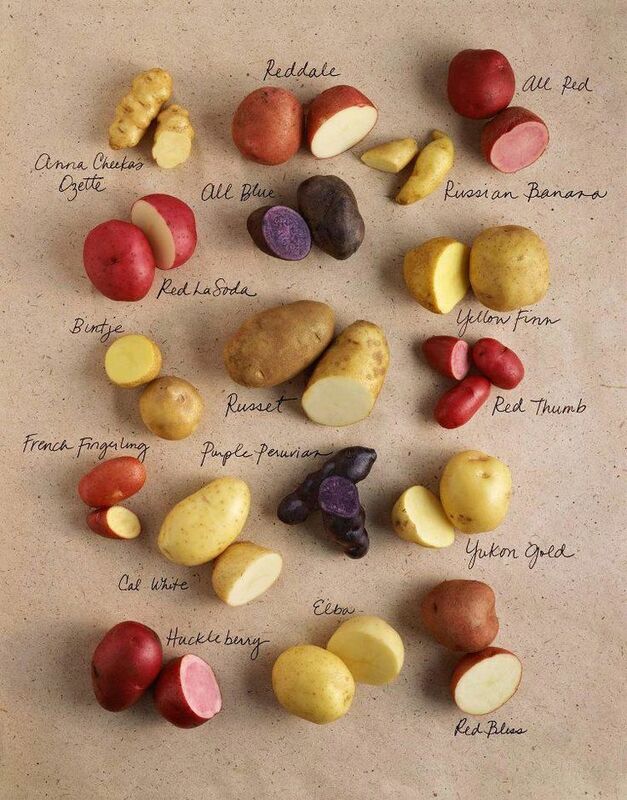 There are about 5,000 potato varieties worldwide. Three thousand of them can be found in Andes, most of them in Peru, Bolivia, Ecuador, Chile, and Colombia. 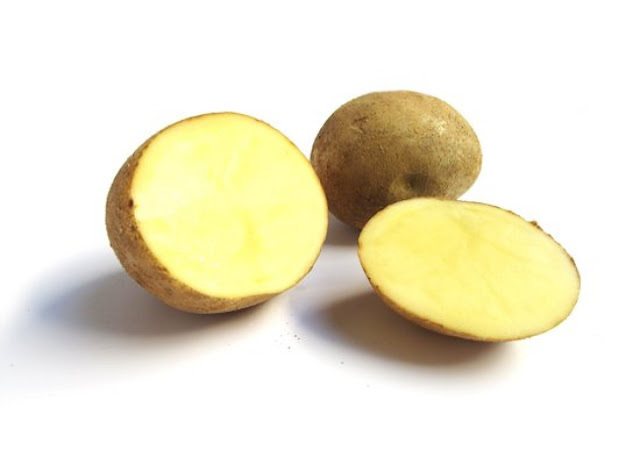 Same as many other commercial plants, potatoes had cross-breed to produce resistant to diseases and pests, while there are also genetically modified varieties in the United States. 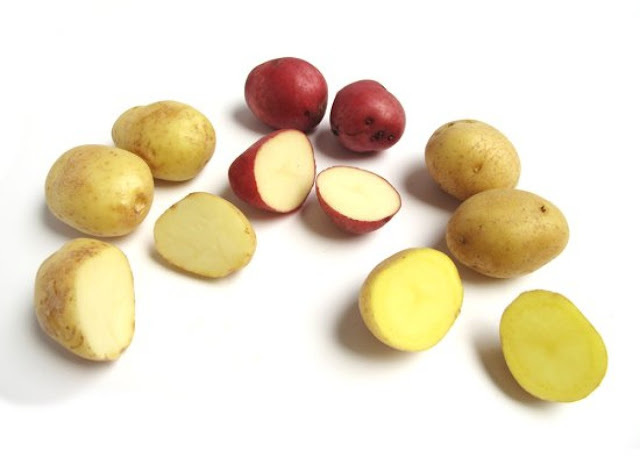 Starchy: Few types like classic Idaho or Russet are high in starch and low in moisture. 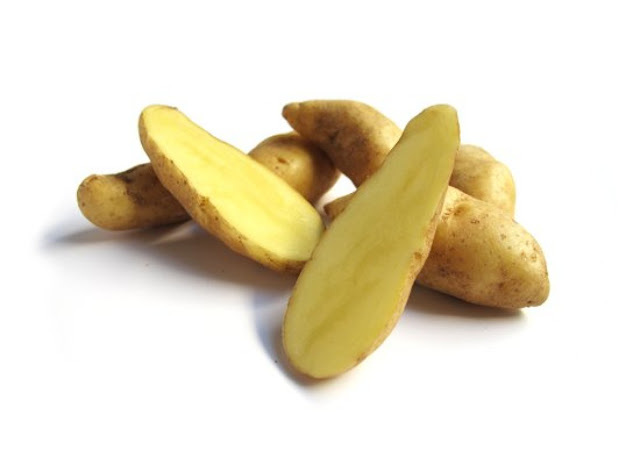 They are great for boiling, baking and frying. Anyway they don’t hold their shape well, so they nor suitable for dishes like casseroles, gratins and potato salads. Waxy: Some examples like New Potatoes, they have low starch instead creamier, firm and moist and holds its shape well after cooking, this type of potatoes suitable for roasting, boiling, casseroles and potato salads. 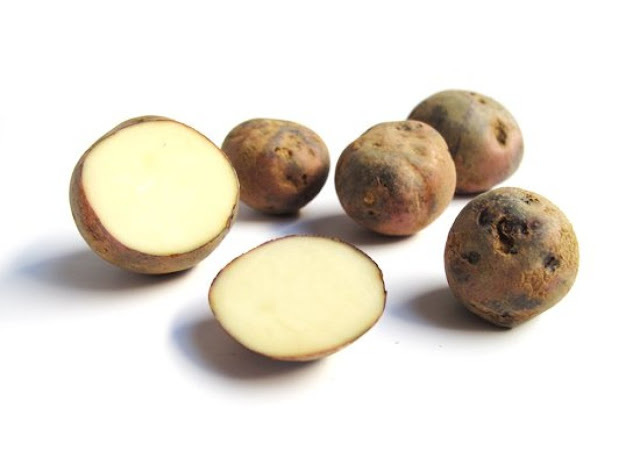 All-Purpose: These potatoes have medium content of starch and categorized between starchy and waxy. There are easier to use and truly multi-purpose for any dishes. 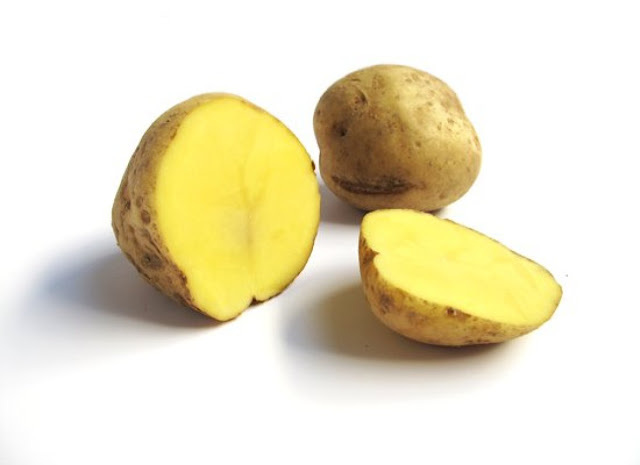 One of the examples is the Yukon Gold. 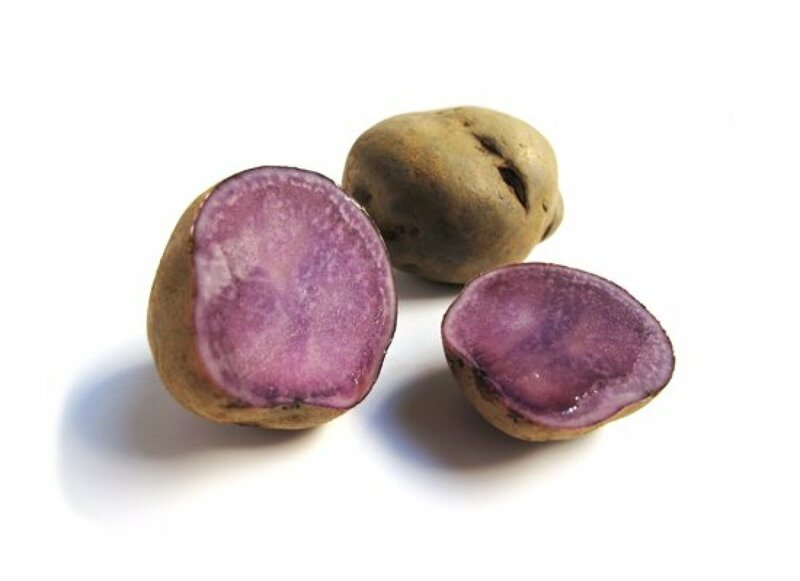 Purple Peruvian - All purpose. 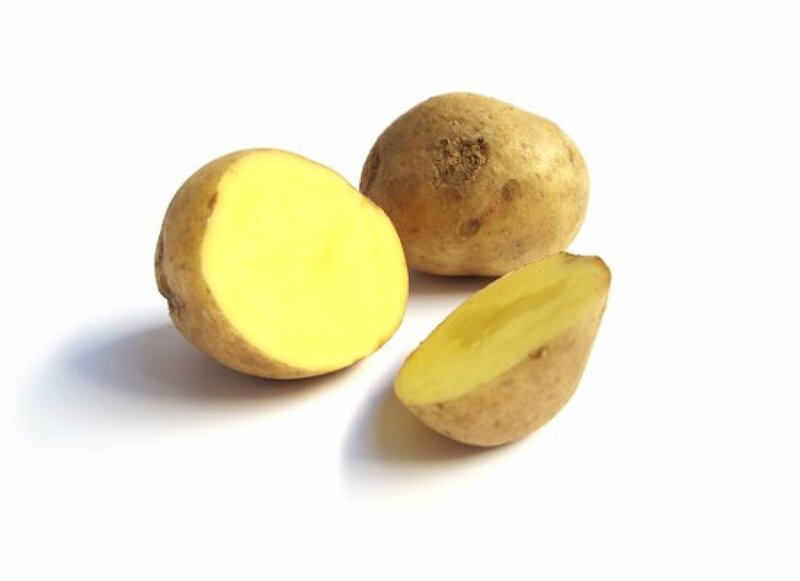 Yukon Gold - All purpose. 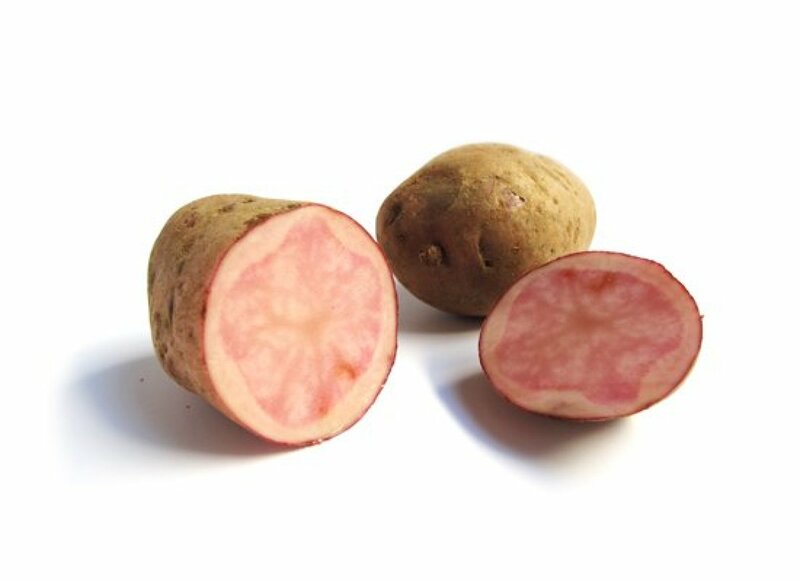 Since there are many other types of potatoes, we can keep on looking for many other varieties and perhaps someday we can sample the taste too. 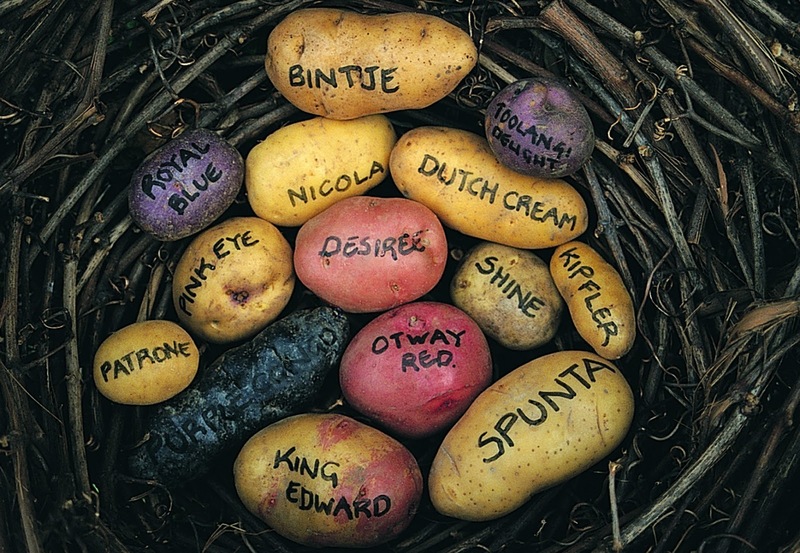 Keep on searching and share it with us if you find anything interesting about potatoes.